Do you know a volunteer who has gone above and beyond the call of duty for the cause? Was there a person whose life inspired you to do good? Send us their stories and photos and we will honor them here on the Fundraisers.com People Blog. We are sad to report that Cory Lidle, pitcher for the New York Yankees died today in a plane crash in New York City. Over the past two years, Cory teamed up with the Make A Wish Foundation to hold an annual Charity Poker Tournament to raise funds to help grant the wishes of children with life-threatening illnesses. Cory and his family members are in the prayers of all of us at the Community of Giving. David Einhorn is a 37 year old philanthropist and hedge fund manager from New York who happens to play poker. 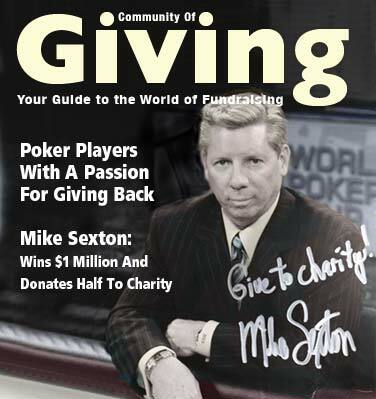 David surprised many in the poker community when he announced that regardless of where he finished, he would be donating 100% of his WSOP earnings to the Michael J. Fox Foundation for Parkinson's Research. 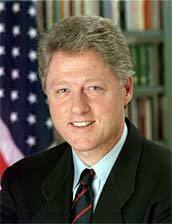 The amount of his donation was determined when Einhorn busted out in 18th place, good for $659,730. As for playing for charity, Einhorn said it helped him deal with the pressure of the tournament immensely. He stated, "I think playing for the cause helped me relax." One of Einhorn's most striking characteristics was the sweatshirt which he wore throughout the tournament. The plain blue sweatshirt, featuring painted handprints from his wife and children, was a Father's Day gift. Explaining why he wore it, he said, "I think in poker, you need to have some good hands, and I brought all my best hands with me to try to do a good job." Einhorn is a board member of the Michael J. Fox Foundation, which he joined after he met Fox less than a year ago. Einhorn's grandfather had Parkinson's, and he is looking forward to hosting a big benefit to raise money for the cause in New York in November. 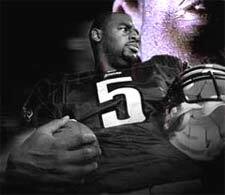 The Donovan McNabb Foundation was established in June 2000 by McNabb in honor of his close family members that have been diagnosed with diabetes. Donovan started his foundation so that he could help provide awareness and improve the lives of those that suffer from diabetes, as well as the families of those who have diabetes. Over 15 million people in the United States alone have diabetes, but nearly 5 million people are unaware that they have contracted the disease. Preventative measures, however, can reduce the possibility of the spread of diabetes. These preventative measures include educating, regular exercise, controlled diet, and regular checkups by a doctor. 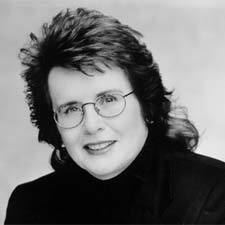 The Women's Sports Foundation is an educational nonprofit (501(c)(3) charity) organization founded in 1974 by tennis legend Billie Jean King so that girls following in her footsteps would not have to face the barriers she faced playing sports. The foundation is designed to advance the lives of girls and women through sports and physical activity. I never had the pleasure of meeting Red Buttons, but he made an impact on my life. Sayonara is one of my favorite movies. It taught me a lot about compassion and equality. He had a remarkable career. But when I read about Red in the news reports about his passing, I was even more impressed by how much he accomplished for charity. Red served as an honorary reserve officer for the U.S. Army Reserve and the Orange County Sheriff's Department. His tireless work for the City of Hope earned him a "Spirit of Life Award". He was also awarded a lifetime achievement "Suzie" from the Eddie Cantor Foundation, and was named "Mr. Wonderful" at the 49th annual ball of the Thalians, Hollywood's original celebrity charity. On the old Dean Martin roasts, Red was famous for his "never got a dinner" routine... I'm glad that he was recognized himself for his charitable work. For four time NASCAR Cup Series champion Jeff Gordon, victory lane is the place where hard work, determination and experience have combined for an amazing number of wins. Off the track, Jeff seeks to help children and their families gain their own victories over chronic and often debilitating illnesses through The Jeff Gordon Foundation. Established in 1999, The Foundation primarily provides support for four designated charities, also offering support on a case by case basis for other charitable organizations. 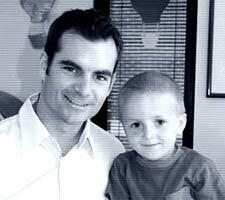 Overcoming serious illness is the biggest victory of all, and The Jeff Gordon Foundation is grateful for the opportunity to work with courageous children and their families. The mission of the William J. Clinton Foundation is to strengthen the capacity of people in the United States and throughout the world to meet the challenges of global interdependence. To advance this mission, the Clinton Foundation has developed programs and partnerships in the following areas: Health Security, Economic Empowerment, Leadership Development and Citizen Service, and Racial Ethnic and Religious Reconciliation. Through generous donations, the Clinton Foundation has been able to dramatically lower the cost of HIV/AIDS medication and tests, has helped countries scale up treatment, and has begun to bring quality healthcare to the world's children and those in rural areas. Giving Celeb, Scott Sullivan Raffles Dream Date! ...so we can tell the world about them!